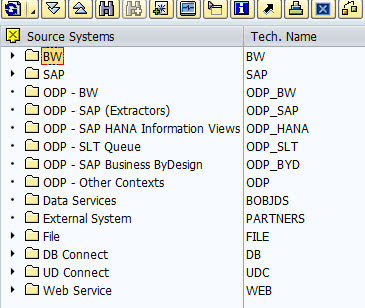 The SAP BW 74 is available for some time already and I already posted few blogs about it. In this post I introduce two more functions introduced in this release. It provides a possibility to load and store different files types (so called Multipurpose Internet Mail Extensions (MIME) Types) or long string (data type STRING or XSTRING) as XXL attribute into BW. The MIME file format can be e.g. PDF, XML, office files, image, video or audio files. The XXL attributes are basically characteristics values lower or equal to 255 and long texts up to 1333 characters. 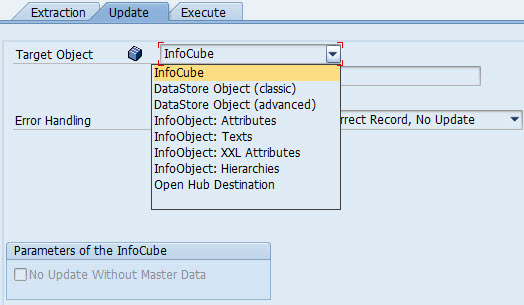 While specifying an InfoObject to store such a XXL attribute it must be set a new flag called “Supports XXL Attributes” which is available on Master Data/Texts tab of the IO maintenance screen. Afterwards on tab called “XXL Attributes” it is possible to specify which XXL attributes the IO should have. See more information in online documentation. 2) History function – Within RSA1 t-code under Modeling section, there is a new view. It displays history of actions performed on BW objects. All actions with relation to workbench navigation on objects (e.g. display, change, manage etc.) are displayed there. Notice that all actions are grabbed as per same session of user. Actions which are captured there can be re-performed. 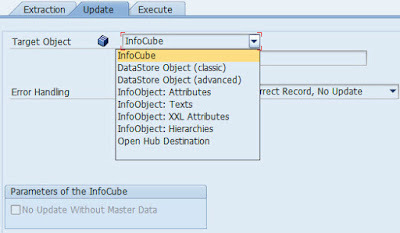 It is useful function which helps within the navigation across the different objects in RSA1. 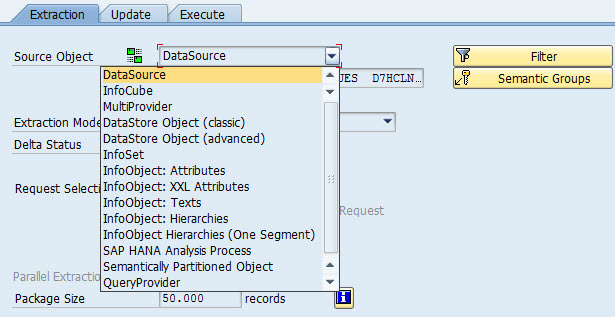 3) Source/target extraction possibilities on DTP – there are few new object types introduced from which a DTP can extract the data. These are Advanced DSO (aDSO), and InfoObject: XXL Attributes. Similarly with regards of target object type of the DTP there are again these two new into which the DTP can store the data to. 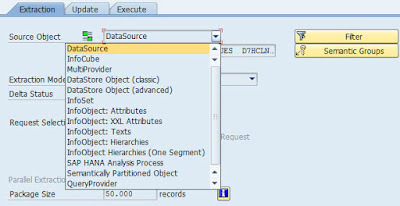 4) New source system types – bellow are new types of source system introduced. These are mostly related to Operational Data Provisioning (ODP) source systems. See online documentation here. Thanks for your wonderful blog posts. Please continue your good work. Wish you a happy new year! Thanks for your kind words, Have a wonderful new year too!